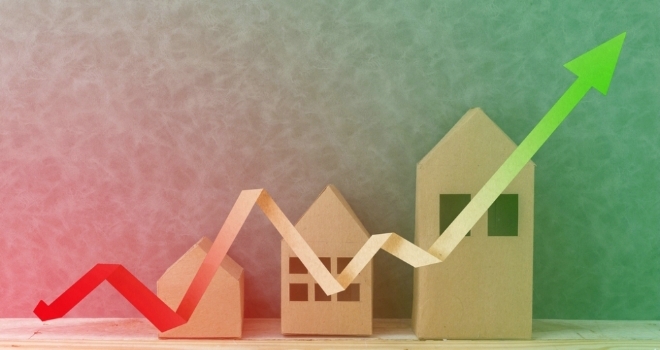 Mortgage sales up 25% in May! The latest analysis from Equifax Touchstone has shown that mortgage sales during May this year were up 25.4% when compared to those of April. According to the findings, the rise in sales equates to £3.4bn. The data revealed that a “significant increase” in sales was evident in every region across the UK – with Northern Ireland seeing the largest increase of 36.3%, followed by the North East (30.1%) and London (28.7%). Buy-to-let figures jumped 26.1% to £2.7bn, with residential up 25.2% to £14.3bn. Overall, mortgage sales for the month grew to £17bn. John Driscoll, Director at Equifax Touchstone, said: “Following weak figures last month, prompted by government intervention to cool buy-to-let property sales and election uncertainty, mortgage sales have rebounded in quite spectacular fashion, hitting a monthly high for 2017 of £17 billion, with every single region experiencing notable growth. Assessment of the Spring Budget 2017. The good news is that there weren’t many tax changes announced in the Spring Budget 2017. Increase in Class 4 NI. The main rate of Class 4 NI is to increase from 9% to 10% with effect from 6 April 2018 and from 10% to 11% with effect from 6 April 2019. For a self-employed individual with £30,000 trading profits, this will increase the Class 4 NI bill for the 2019/20 tax year by about £430. The abolition of Class 2 NI from April 2018 will partially reduce this increased NI but only by just under £150 a year. Dividend allowance reduced. The Chancellor has dealt another blow to limited company director shareholders by cutting the tax-free dividend allowance from £5,000 to £2,000 with effect from 6 April 2018. This means that a director shareholder paying tax at the basic rate will pay an extra 7.5% tax on £3,000 of dividends – a £225 tax hike. It will be considerably more for higher rate taxpayers at 32.5% of £3,000 = £975. This is still better than paying 20% and 40% on earned income plus there is no NI still on dividends. Making Tax Digital. One welcome measure for small businesses is that Making Tax Digital, which includes the production of quarterly accounts for the self-employed, is to be suspended by one year, i.e. until April 2019, for businesses with a turnover under the VAT threshold. Business rates. The £300 million discretionary relief fund for local authorities to target those businesses most in need is a very welcome short-term measure – but this may not be big enough. Many small firms are already receiving their bills and so it is vital that Government and local councils communicate immediately with their local business population to explain how this fund will work. Businesses set to lose small business rate relief will be helped by the cap of £50 per month set on any increase. In addition, smaller, independent pubs will benefit the most from the proposed £1,000 reduction to their rates bill this year. How can I invest with Earl & Pelham Property? Earl & Pelham Property is always securing more deals, which means we always require more finance. With the ability to run projects worth £250,000 to £10,000,000+ we can cater to all levels of investor. When you invest with us we know that it is important to put your money into something you know and in which you can see the potential. This is why we are specific to whom we first put our development sites, tailor made to you. There are different ways to invest with Earl & Pelham Property, so we can cater to many different people’s needs. Your money could be invested as debt finance, or as an equity partner in an SPV (Special Purpose Vehicle). Did you know you can use your pension to invest with us? Everyone knows that many pensions don’t perform very well, because if you have them managed by a firm, who do you think the firm is working for… You or themselves? Don’t think you have enough money to fund a project? That doesn’t matter. We can pool investors’ money together to make a ‘pot’ large enough for what is needed. There are different timescales to which we can work with your money. If you are an equity partner for a specific deal, then once the exit plan has been executed we will then split the profits accordingly. For debt finance you could invest for a year, at an agreed percentage per month, to be rolled up and paid at the end of the term. When the time is up you can take back your investment and interest, or be paid your interest and roll your investment money over for another term. Everything will be made as secure as possible so that you can be comfortable that you have made the right decision to make your hard earned money work hard for you! Investing is not just about the project, it is about the team. People work with people, we, like you know that! Earl & Pelham Property prides itself on being open, honest, approachable, confidential, hard working (so you don’t have to) and to be easy to with which to conduct business! Make Permitted Development Rights work for you! Permitted Development Rights (PDR) is how we could get planning permission so quickly for our project on Pelham Road in Nottingham. PDR allows you to convert offices (B1 use class) in to residential (C3 uses class) without having to go through full planning permission, giving you a much quicker application process and reducing the cost of the planning permission entry quite substantially. Which is why Earl & Pelham are constantly on the lookout for offices that they can repeat the process with!